Humans have experienced headaches since ancient times. It is likely that ancient peoples believed that headaches were a sign of evil spirits, and evidence of ancient remedies to relieve what is thought to be headache pain can be traced back as early as 7000 BC. Trepanation, drilling a hole or removing a section of the skull, can be seen in Neolithic skeletal remains and is thought to be a procedure meant to release the demon causing headaches and disorders including epilepsy. An ancient Egyptian papyrus document, the Ebers Papyrus, dates back to 1200 BC and outlines a ritual for relieving migraines and head pain. In 400 BC, Greek physician Hippocrates recorded symptoms common of a migraine, including visual distortion and intense pain that begins in the temples and gradually radiates throughout the head and neck. Following the scientific revolution of the 16th century, medical literature recorded observations and treatments of headaches. Considered the founder of clinical neuroscience, Thomas Willis made accurate observations of migraines, introduced the term "neurology," and was the first to propose that migraine pain was caused by dilation of blood vessels. Erasmus Darwin again supported the vascular theory of headache pain in the 18th century. He found that putting a headache patient in a centrifuge to force blood from the head to the feet offered effective relief from headache pain. The first major treatise about migraines was published in 1873 by Edward Liveing, however Liveing's theory explaining the cause of headaches differed from the accepted theory of vasodilation, instead pointing to an overactive central nervous system and "nerve storms." In the late 19th century, Sir William Gowers, considered a founder of modern neurology, was among the first to divide headache treatments into preventive and abortive. The first to study headaches in a modern laboratory setting was Harold Wolffe during the 1930s. His experiments provided further support that the cause of headache can be traced back to vascular dilation. The causes and treatment of headaches continue to be an active area of scientific research. Much current research seeks to understand the underlying causes of headaches, brain mechanisms of headaches, social, racial and psychiatric factors that may relate to headaches, and genetic predispositions for headaches. 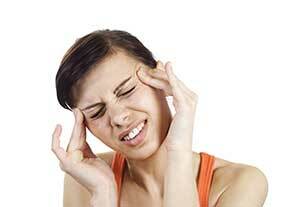 There are also many ongoing clinical studies seeking to relieve and manage headache pain.